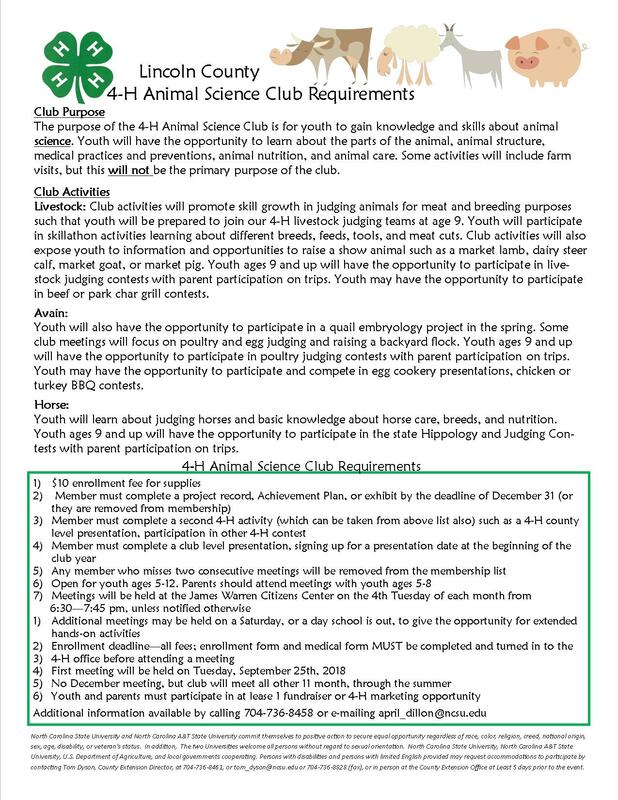 If you’re interested in animals, join the 4-H Animal Science Club! Here’s how! For more information, contact April Dillon at april_dillon@ncsu.edu or call 704-736-8458.